Edited by Blackadder, 11 February 2017 - 09:28 PM. Well consider this followed. Your scratch builds always amaze me!!! Edited by SW1, 11 February 2017 - 09:51 PM. GOOD LORD god machine!!! Have watched your builds for years and continue to be astounded by your skills, imagination and attention to detail!! How tall will the completed Titan be? Blackadder builds a bigger Titan? Consider it subbed! If this is anything like your other amazing scratchbuilds, colour me interested. Though I do wonder when the scale escalation is going to end- presumably with a 40K scaled Battle Barge. My Warlord topped out at 27 inches (Eight inches taller that the stunted FW Warlord.) 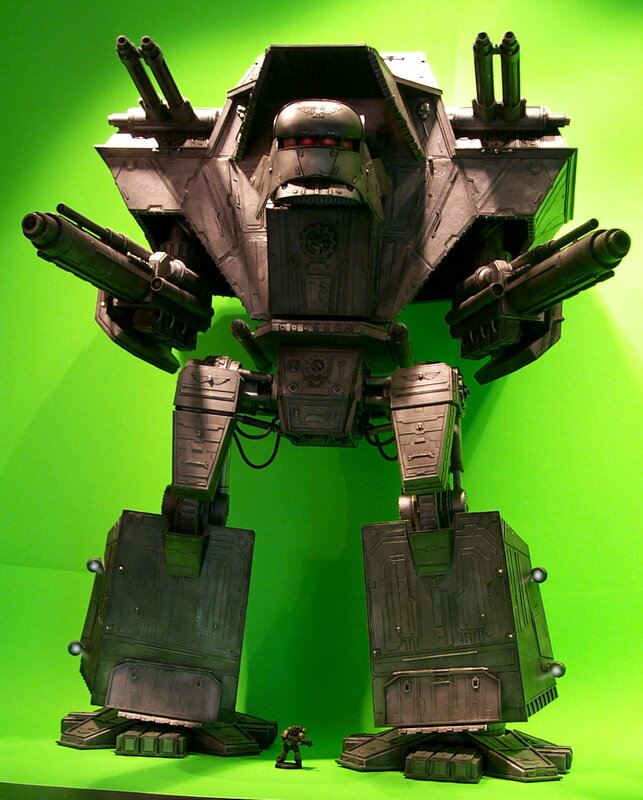 not counting gun elevation so I am figuring 32 to 36 inches tall but with more robust legs and heavier superstructure. I don't want to diminish my Warlord too badly and I feel taller than 36 inches would look ludicrous if placed on a gaming board When I began building my Warlord I projected 26 inches and came in pretty close so I feel pretty confident with this estimate. Thanks for all the replies and subscriptions, I'll try to make your confidence worthwhile but we're looking at at least two years for this project so don't expect a rush job. The fun is in the building. Darth Vader: "Impressive... Most impressive." Dark Gods curse you, Adder! 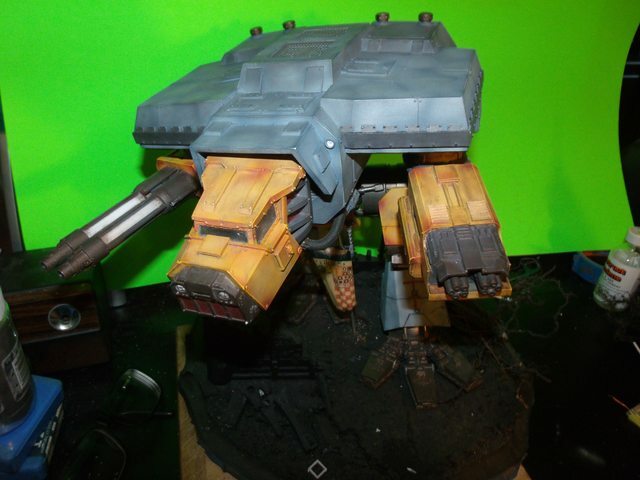 I was just finished going through your Thunderhawk thread and being inspired enough to start scratching building a Warhound and now you pull this out and put it on your Work Bench?! *Sigh* Okay, let's see what you come up with that I'll feel inspired to work on next. "O foar teh noez dey schrewd Ka0z agen!11!!!one! /cry /quit" and "Ka0z iz OP hax0rz." Please go back and re-type it. Seriously, go back and try again. I am not fluent in txtiese. I am capable of reading/writing/speaking 3 languages: English, bad English, and American. 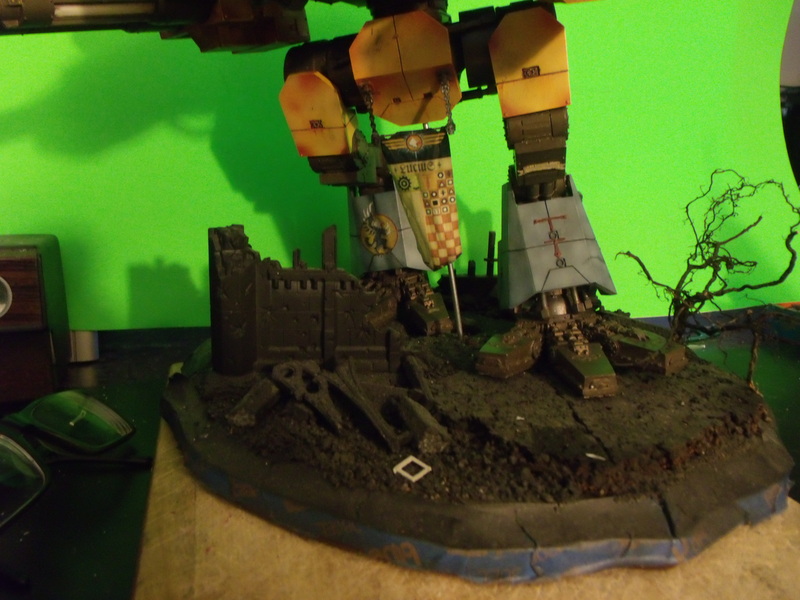 First an image of the model in comparison to the FW Warlord to give it a scale. 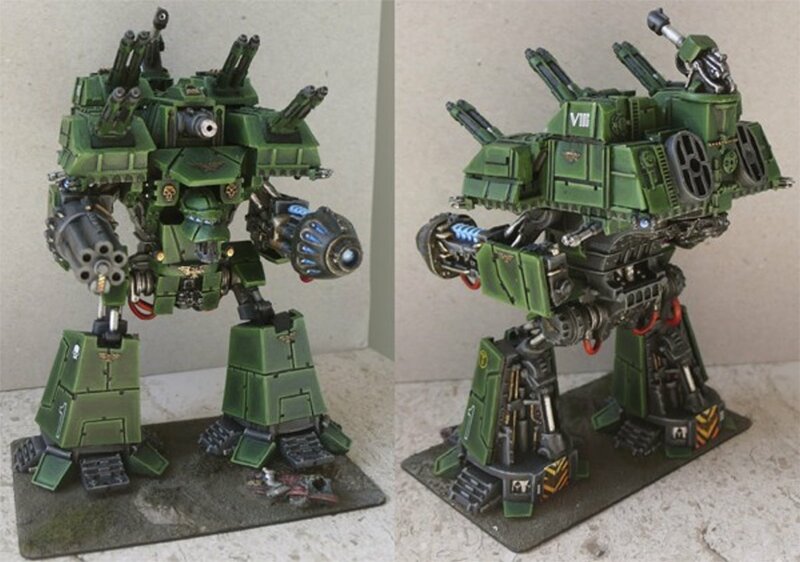 The middle image is what I plan to do to stretch the resin Warlord when and if I purchase one as I think the legs are too short so by cutting the legs at thigh and calf I shall be able to increase the height to conform to my styrene model. Luteus Vexant Stands a scale160 feet (49 meters) tall. 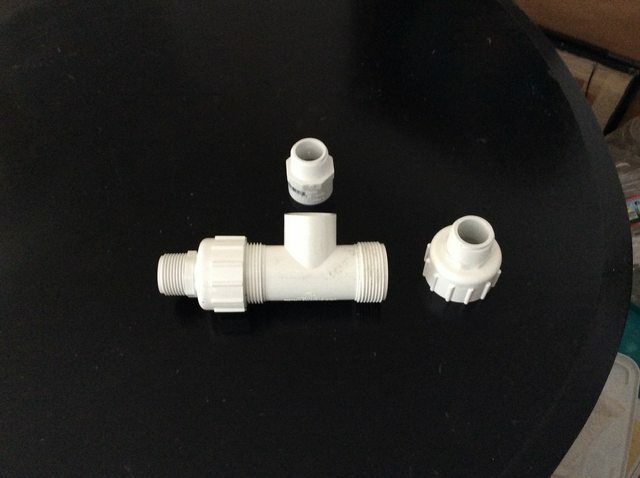 This is not a kit, everything is handmade from scratch fabricated from individual bits of styrene. There are well over 10,000 bits of plastic glued together some no bigger than the head of a pin. 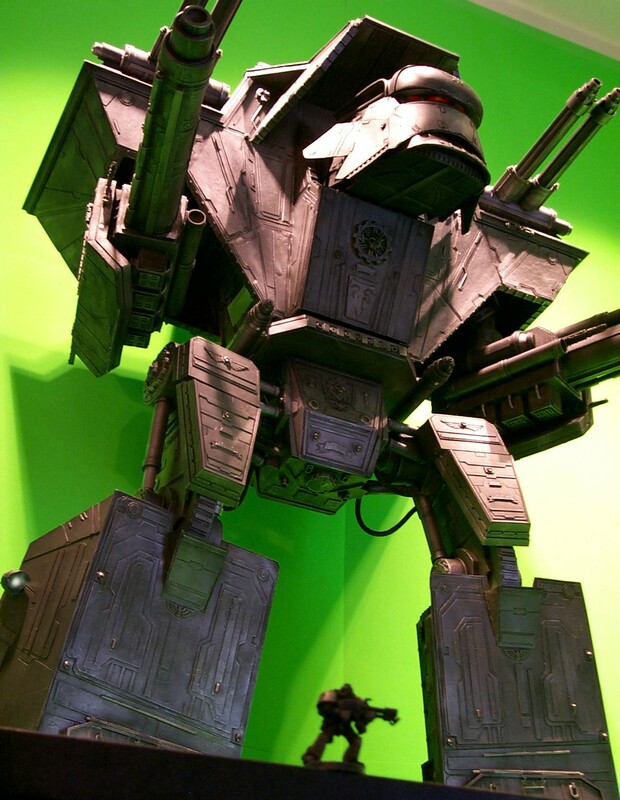 "Luteus Vexant" is the name I chose for the Warlord It in Latin means "Dirty Harry." The Titan has a full interior with five levels completely furnished and manned with a crew. I am still in the process of wiring the lighting and it needs more paint. I had to dredge this image up for my archives as it appears I've not posted it before???? If anyone is interested I can resume the Warlord Thread to show how Luteus was constructed. I was going to build it for my (now pretty much scrapped) Legion 11 idea. If I can ever get the thing finished it will go into my Alpha Legion. I've taken several attempts of building the structure to connect the two toys and bulk out the frame, but nothing has panned out well yet. Egad I've failed to post my Warhound build here as well and that was completed in 2012. I'll start a thread describing the construction if you're interested. Lucie was my first fully scratch built project and I am very proud of her. All her joints are functional right down to the toes and she can be posed in any position (within the bounds of propriety of course) but is beginning to show her age and the joints are weakening. When last we visited I was building a base for Lucie so as to display her on a shelf without toppling. But wire coat hangers are too flexible for a model of her weight so searched for a more durable rod of similar diameter. I have just found such a rod in of all places an electioneering poster support frame. These frames must withstand high winds at times so the rod is super stiff for it's diameter. So Lucie now stands somewhat erect on a custom base that still requires further painting. Soon to be displayed in my curio cabinet. As you can see my projects are never finished and I am always upgrading them; in this case a permanent display stand because I don't want her joints to weaken any more. you enjoy tormenting fellow modelers like me, don't you Adder? *sigh* got any build pics? ...but you're not thinking anywhere near big enough. An Imperator-class Titan should be almost human-sized, at 28mm scale, to have a chance of doing justice to their fluff descriptions - I'm thinking 'Titanicus' and 'Storm Of Iron' in particular, with the portrayal of Dies Irae - because let's face it the FW Warlord is waaaay too small, really - only the FW Warhound is genuinely about the right scale. I mean... you're not wrong, but so what? 99% of the rest of the models aren't to scale. 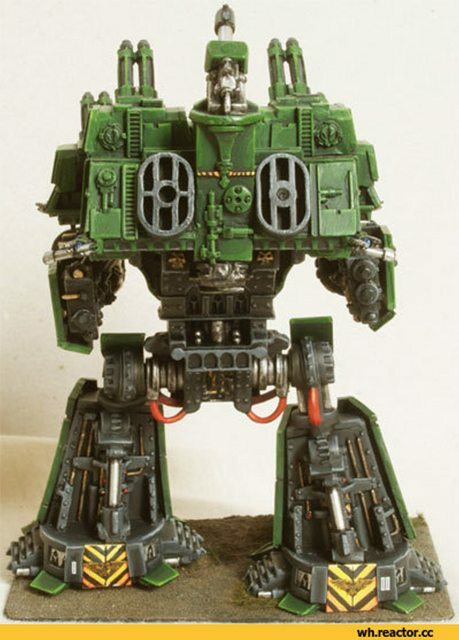 I mean your average gaurdsman is 5'11" tall while the typical space marine is 8' tall, meaning the model for a space marine should be 30% taller then a Guardsman model. 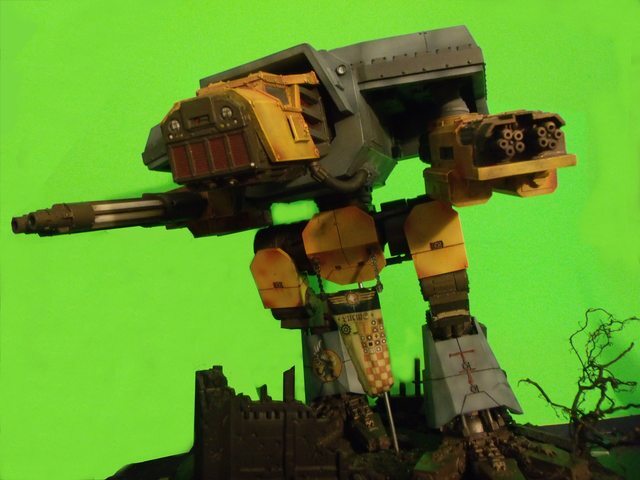 And extrapolating that out, a Rhino should be about the size of a Land Raider model, while a lander model would be around the size of the BaneBlade model while a bane blade would be about a 1/5 of a typical 8'x4' sized table. I've seen Emperors that were upwards of 5-6 foot tall and while big they were not impressive. The taller they are the more detail they require; what looks good on a two foot model looks barren and fake on a six foot model. A quick calculation gives 386 feet tall at 28 mm scale. It would dwarf any of the existing FW models to insignificance. My Luteus scales 160 feet tall at 27 inches plenty big in person believe me. Maybe it's because I just watched Guardians of the Galaxy, but for some reason I'm hard time not reading that line in Zoe Saldana's voice. Something like "I will NOT deal with your screw ups on the Pelvis engineering floor! DO you hear me?!" Blackadder, you know you're jinxing yourself with that statement right? You're going to get like 2/3s of the way through a section, see something that you over looked, decided against initially, or now see a better way to address it, and you'll be like "Crap! Why didn't I do that before?" 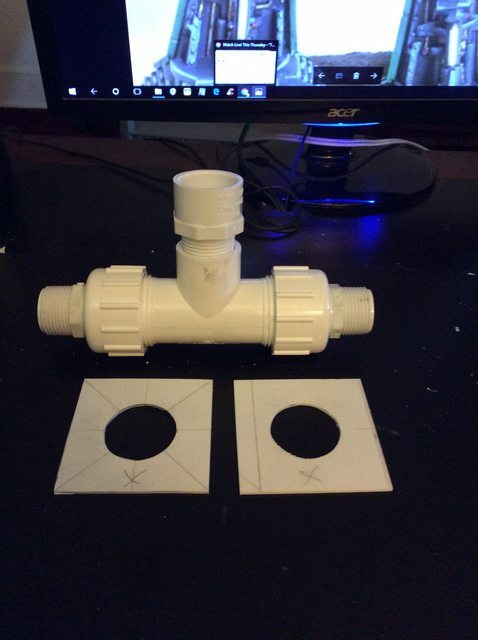 This actually raises a question: How DO You go about cutting stuff like 1.5 and 2mm thick styrene? Everytime I've needed to cut it... well it's depended on what sort of cut I needed to do. If I need a hole I start with drill bit and then use a circle cutter in a drill press. If I need a straight cut of less then 2" I'll use a metal straight edge and a utility blade and just resign myself to cutting for the next half hour. If more then 2" I'll generally use a band saw. I would, but time and money are not my friends right now. 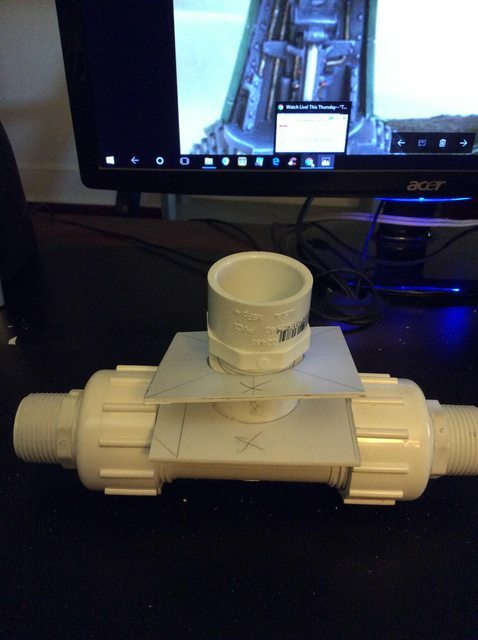 However, I will be recording your progress and efforts so one day when I get around to building my own Imperator I'll have some basis of understanding to begin from. To cut these squares I used the score and snap method. You say a utility blade so I assume you use a utility knife such as a Stanley or General which is the proper knife not an Xacto. You needn't use a straight edge other than to make a pencil line or a shallow score with the blade. make a slightly deeper score free hand guiding the blade along the score. Then you can just snap the plastic and it will break evenly along the score. For this hole I first drilled a hole with my 1 inch wood auger bit in my cordless drill/driver I the made razor saw cuts to the edge of the circle I drew with a compass. I scored between the cuts to make an octagon inside the circle and used a needle nose to snap off the pieces. I finished by using my dremel sanding drum bit to smooth the interior of the hole to the compass circle. Lol ... 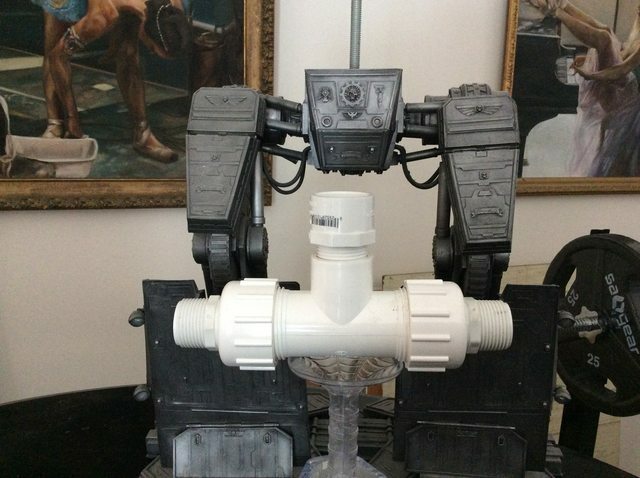 I mentioned building one of these to my wife and she's veto'd it. the grunts must be stacked up like cord wood.